In this agreement "You" and "Your" refer to each viewer and/or user, "We", "Us" and "Our" refer to TAG EDUCATION NEWS AGENCY and its member staff. Any or all use of this website and its services are subject to this agreement. You shall explicitly accept to use this site at your own risk and remain accountable for any risks incurred accordingly. Moreover, you shall agree to compensate TAG Education, its member staff, and content providers for any loss that might be caused to any of them as a result of your using this site. This site as a private property of TAG Education is governed by the law of the Hashemite Kingdom of Jordan. 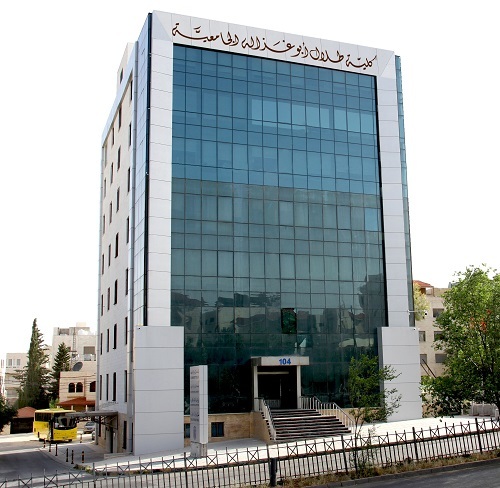 All Jordanian laws and regulations in force, pertaining to the protection of the intellectual property rights as well as all the other laws which can protect the site or forestall intrusion on the information, data, database, drawings, images, videos, sounds, logos or ideas included therein, shall be applicable thereto. Materials provided in this website are copyright protected and you may not copy, modify, distribute, transmit, display, perform, reproduce, publish, license, transfer, or broadcast all or part of the content of any of the TAG EDUCATION website in any form, whether hardcopy or electronic, without obtaining our authorization. YOU SHOULD BE REMINDED THAT ALL THE MATERIALS PROVIDED IN THIS WEBSITE ARE COPYRIGHTED MATERIALS AND THAT PLAGIARIZM IS A SERIOUS AND ACTIONABLE CRIME. All brand names, (TAG EDUCATION Trademarks) and all trademarks used in this website are trademarks registered and protected according to the Jordanian laws and the laws of other countries. You agree here not to display or use in any manner any of the Trademarks without our prior written approval. You will use this site for legitimate, individual and non-commercial purposes only. Users/ viewers shall not use TAG EDUCATION to advertise or perform any commercial solicitation. Moreover, you should refrain from sending or submitting any material through this site that may violate or infringe upon the rights of others in surfing or limiting their capacity to surf the site. You may also not submit on this site material that involves unlawful matter or threat or slander or material that invades the privacy of others or their patent rights. You may also not submit material involving obscene words or abuse of religious and holy shrines that may be unacceptable for any other reason. You are not entitled to submit material that may encourage criminal actions or that may involve a violation which may necessitate civil legal action or that is in violation of any law. 1. TAG EDUCATION in its capacity as being responsible for the site shall have the right to bar or stop at any time without any pervious notice to you or to stop the publication of any material without the consent of its owner and/ or without giving any reasons or justifications whenever it deems fit. It may delete, redraft or abbreviate the published material or amend thereof by increasing or decreasing without prejudicing the content or the meaning at any time and without any notice to you. This prohibition, suspension, change or amendment shall not produce any rights to others or to the owner of the material and he/ she may not sue TAG EDUCATION for any kind of contractual or personal liability. 2. TAG EDUCATION in its capacity as the owner of this site shall have the right at any time without any notice to stop the full or partial operation of the site whether permanently or provisionally. This cease or suspension shall not produce any rights to others and no one can sue TAG EDUCATION NEWS AGENCY for any kind of contractual or personal liability. Moreover, TAG EDUCATION may terminate this Agreement and your use of the Service. 3. TAG EDUCATION may modify, amend and change the conditions of this Agreement at anytime and without any notice in its sole discretion. In this situation, we advise you to keep visiting TAG EDUCATION website from time to time to be familiar with any changes that may take place in the future in relation to this Agreement. You may link to this website provided that you link only to the homepage and you state clearly that the link is for TAG EDUCATION website. Some links within this website may lead to other sites. We do not necessarily sponsor, endorse, or approve the content appearing in such sites. This website and the usage of it, is governed exclusively by the law of the Hashemite Kingdom of Jordan, including but not limited to, any infringement or miss-usage of this website and its materials.